The Commission for the Supervision of Business Competition (KPPU) ruled that the motorcycle manufacturers PT Yamaha Indonesia Motor Manufacturing (YIMM) and PT Astra Honda Motor (AHM) are guilty of forming an automatic scooter cartel. “The KPPU panel of judges fine Yamaha Rp25 billion and Honda Rp22.5 billion for violations in business competition,” Chief Judge Tresna Priyana Soemardi said in the KPPU hearing yesterday, Feb. 19. According to Tresna, the fines were calculated based on aggravating and redeeming factors of the defendants i.e. Honda and Yamaha. A Honda moped is the mainstream favorites in Indonesian market. Indonesia’s Business Competition Supervisory Commission (KPPU), the country’s anti-monopoly agency, penalized Yamaha Indonesia Motor Manufacturing (YIMM) and Astra Honda Motor (AHM) for forming a cartel with the purpose of conducting price-fixing and curtailing the distribution of Yamaha and Honda motorcycle sales in Indonesia, specifically those motorcycles with an engine capacity of 110-125 cubic centimeters. Hundreds of travelers struggle to move through traffic on the Nagreg Jakarta during the National holiday of Eid Mubarak on 2016. A lucrative market indeed as 60% of them were the penalized moped. The two Japanese brands increased motorcycle price by Rp400-600,000 per unit. “Price hike was set jointly by Honda and Yamaha to increase profit,” Kurnia said. KPPU panel of judges considers that Indonesia scooter market is oligopolistic in nature which is prone to cartel practices. Honda own a majority motorcycle market share in Indonesia at 77.8 percent, followed by Yamaha with 19.9 percent. Astra Honda Motor’s General Manager of Corporate Secretary and Legal, said the company has yet to take a stance. “There is still an option to file an appeal up to the Constitutional Court,” he said. He has also denied forming a cartel with Yamaha. The panel of judges considers that during the hearing process Yamaha failed to cooperate in presenting witnesses, president director and guilty of manipulating its data. “The panel of judges adds 50 percent more fines,” he said. Gunadi Sindhuwinata, Chairman of the Indonesian Motorcycle Manufacturers Association (AISI), does not agree with the tribunal and said the verdict is “out of context” and not based on any fundamental evidence. Therefore, he is concerned that this verdict actually only damages the investment climate of Indonesia. Foreign investors could decide to invest in motorcycle plants (or related industries) in countries where they cannot suddenly be hindered by such rulings. 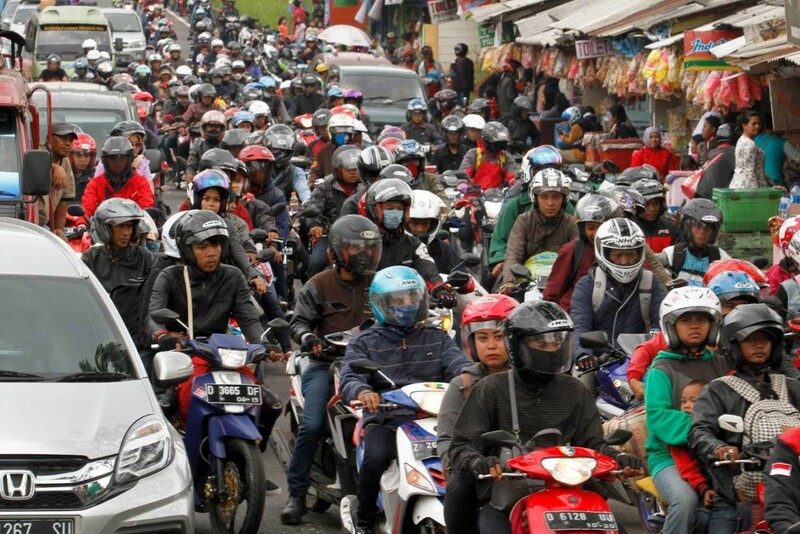 The Indonesian market is the most attractive business for mopeds. The number of european models with bigger sized cubic displacement are now being manufactured and offered in the local market as well. Yamaha Indonesia, part of Japan’s Yamaha Group, said it did not conduct any price-fixing and therefore considers to appeal against the tribunal’s ruling. Meanwhile, Astra Honda, jointly owned by Indonesian conglomerate Astra International and Japan’s Honda Motor, was not immediately available to comment on the matter. On the contrary, the panel of judges sees that Honda cooperated fully with the court by bringing witnesses and comprehensive data. As a result, the panel of judges reduced 10 percent of the fine for Honda. A member of KPPU commission council Kurnia Sya’ranie said that a cartel was established for 110-120 cc automatic scooters in 2014. He pointed to irregular price increases by the two companies. The KPPU investigators found that in 2014 Honda increased the price three times, whereas Yamaha did it five times. At international level and racing world, Honda and Yamaha are competing stiffly but in Indonesian market throught their filthy distributors partnership, they are as dark as the tire indeed.